Fuerza Solidaria » Archivo » Like Venezuela, so Ecuador? 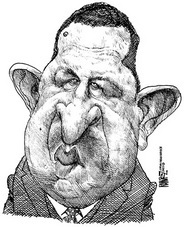 Today, Mr. Chavez’s close ally – President Rafael Correa of Ecuador – is traveling down the same authoritarian route. Mr. Correa’s proposed new Ecuadorian constitution would grant him broad powers, including the ability to dissolve Congress, set monetary policy and stay in office through 2017. The new constitution, approved by the Correa-dominated Constituent Assembly elected to write it, would concentrate excessive power in the president’s hands and amount to his virtual coronation, according to a report by the Associated Press. The nation’s voters will decide Sept. 28 whether to adopt it. While shy of the 50 percent plus one vote needed to succeed, according to recent polls, support is likely to grow as the Quito unleashes its marketing blitz on Ecuador’s impoverished masses. Sadly, none of this is new in the troubled history of Latin America. How many times have we seen the same anti-democratic moves by populist “caudillos” with the same disastrous results – abuse of power, erosion of democratic institutions, dwindling economic opportunity and rising poverty? One need only look to recent events in Venezuela and Bolivia, where similar “socialist” experiments are under way. As with Mr. Chavez and Bolivia’s Evo Morales, Mr. Correa’s real aim is to stay in the presidential palace for years to come. Yet even as he seeks to increase his power and muzzle opposition, he wants to improve his image with American lawmakers because “in Washington many think that we harbor the Fuerzas Armadas Revolucionarias de Colombia [FARC], that poor [Alvaro] Uribe [Colombian president] is Sor Juana Ines de la Cruz battling the FARC by himself and that all of his neighboring countries are evil nations that cooperate with the FARC,” according to statements in Agence France Press. That’s why he recently sent an official delegation to Washington, D.C., to, among other things, seek the extension of the Andean Trade Preferences Act (ATPA), and hired international PR consultants and lobbyists to help him. Mr. Correa’s high-priced public relations and lobbying team will be at pains to explain to Washington the latest actions by the Ecuadorian government, which repeatedly cracks down on liberty, justice and democracy while espousing anti-American and anti-business sentiment a la Chavez. But we ask: Why so much resolve? Why risk the future of Ecuador? Two goals seem evident: (a) Present the businessmen and “the oligarchy that controlled the country during the last decades” as criminals and, (b) obtain control of two key media outlets that will strengthen popular support for the government and to win approval of the new socialist constitution on Sept. 28. Like Mr. Chavez and Mr. Morales, Mr. Correa is walking the path of populist demagoguery, his only compass the delirium of so-called 21st century socialism. This path will only lead Ecuador to greater poverty, an end to pluralism and the demise of institutional independence that is the foundation of democracy. It is time for the world to open its eyes to the next battle for freedom in Latin America. 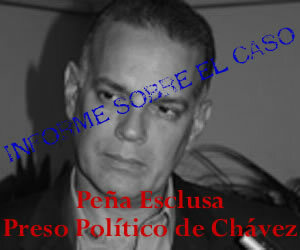 Alejandro Pena Esclusa is a former presidential candidate in Venezuela who leads Fuerza Solidaria (www.fuerzasolidaria.org), a nonprofit organization that has become one of President Hugo Chavez’s staunchest critics. He has written various books on Latin American affairs and is also a firm opponent of the “Cubanization” of Iberoamerica.